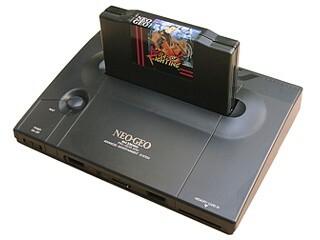 A NeoGeo Emulator for the Caanoo. Runs most games fullspeed with sound, features save states! hi guys! is it worth me dloading this? or is it better to just use MAME4ALL? This should definitely be better for Neo Geo games since this is dedicated. @ikari: Do this version need .gfx files ? If so, could you change to use more large Caanoo RAM ? The bios is the same one that works for MAME. neogeo.zip Unzip it into the roms folder. My problem is that I can't get the emulator to "see" the game roms. Right. I've been playing around with it and here's what you do. Unzip the neogoe.zip from MAME into the roms folder then put your unzipped roms into the roms folder also. Now I notice that some games work and some don't. Neo Turf Masters is a non-starter for some reason, but the Metal Slug games play superbly. What is required though is the correct romset which is not made clear in the instructions. So far I have got Metal Slugs 1,2, and X to work. Leave it with me and I will find out which romset is best. Righty-ho, here is what I have found. Some people are posting romsets on torrent sites but as I have discovered these nefarious places are riddled with virus software which caused me a P.C. blackout for 2 hours while a did a windows recovery. So, my next trick was to mix and match my existing romsets, some for MAME, some for Kawaks and see what works. Now I get my roms from Rockwaldo, a U.K based rom burner. If anyone can supply the correct romset then Rocky can. Just type Rockwaldo into Goooogle and send him an e-mail. On a plus point I now have Neo Turf Masters up and running and boy is it good. I forgot how good. @Gab75: Thanks for the hint. I didn�t know that. has anyone got rotd-rage of the dragons to work. in my romrc.d folder it has the rc file called rodd.rc not rotd.rc tryed different romset still cant run it. is there a list of working games anywhere? Anybody get Pulstar working past the warning screen? Also, anybody get Prehistoric Isle 2 rolling? I don't know why, but when I try to load the program, it goes to the loading screen, then a black screen with a gray box on the lower half, then it locks up. Any help? Algu�m sabe como rodar o kof2002 no caanoo? so no way to change button settings? it has everything except that.